This Aluminum Passengers Shuttle, 23.60 m long and 6.50 m wide, is approved to Maritime French standards. 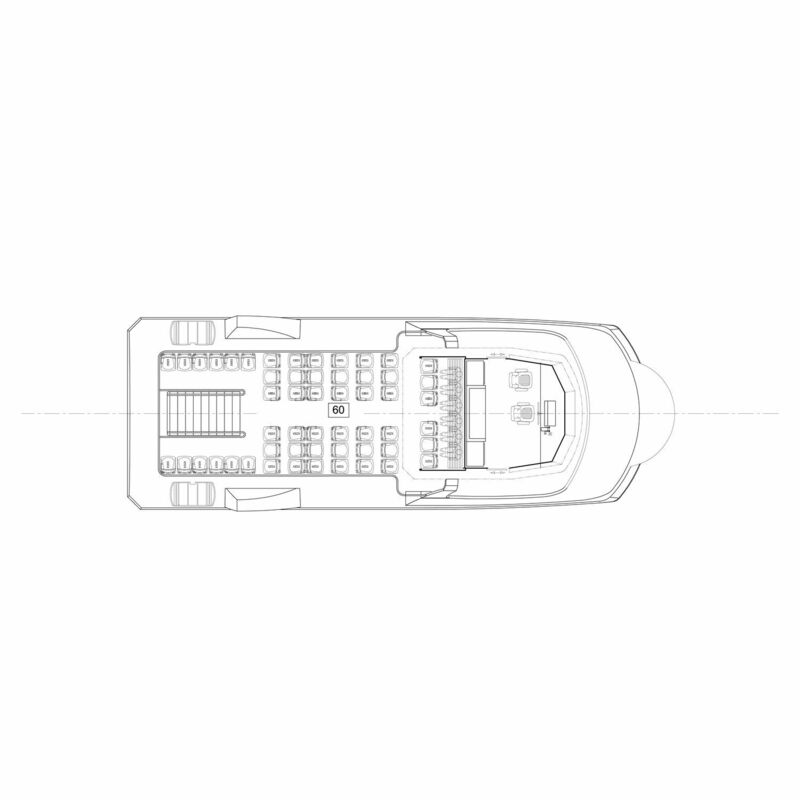 Its total capacity is 214 passengers in 4th categorie and 196 in 3rd categorie in addition to the pilot and tree crew members. 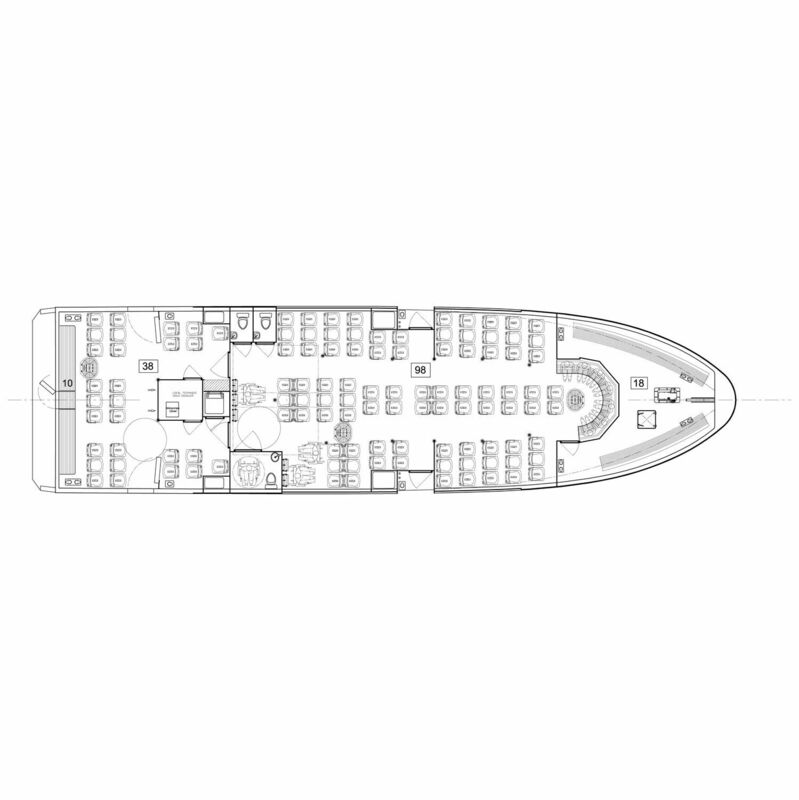 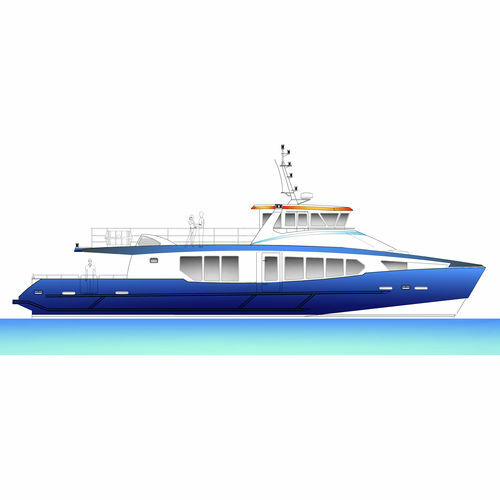 Her deck plan is rational and effective and provides good passenger flow, layout and seating have been designed for comfort.